Which of all the Cowboy Boots out there is the Best for You?? Most of our customers wanted a simple Cowboy Boots Buying Guide where they could learn just enough to find the perfect men's, ladies or kids western shoes. 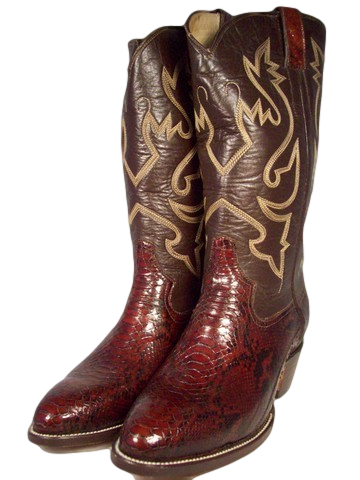 Due to popular demand we also included a section to Sell Your Old or New Cowboy Boots. This is a FREE service to our western wear enthusiasts!! 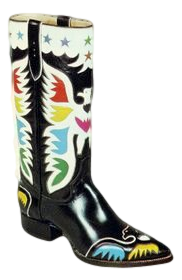 So many different types of Cowboy Boots: Which to Choose and Where to Find Them !! We pass on our lifetime experience of finding Good Deals with tips on sources for good quality Cheap, Discount, Kids, Ladies, and Custom Western Shoe Wear, including brands like Justin and Tony Lama, Lucchese, Dan Post, etc. 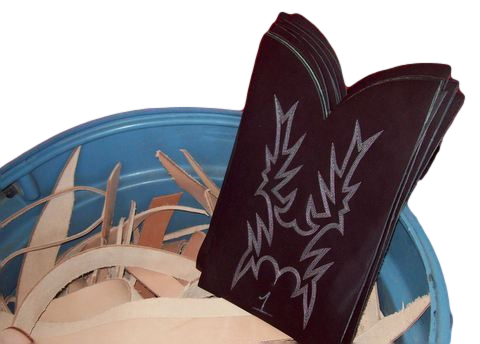 In all our years buying and selling we frequently encountered folks who wanted to experience the joys of ownership, but didn't know where to find a good quality cheap pair of western boots or even a top of the line Custom Made pair. So in this guide we answer all the questions you have about finding a good pair to buy and, also, how can I sell my old boots for free. Here are just some of the questions we address in the guide. Where can I get a pair of without breaking the bank? We'll give you sources to well made cheap, used, discount, online for sale. Where can you find the best Ladies Western Shoe Wear? We'll take you to where the best buys on women's, girls and even red and pink western shoe wear can be found. Are we shopping for the Kid's? We'll recommend the best buys on Children's, Toddler's and Infant's western shoe wear. Where do I go to get a Custom pair from a reputable maker? We'll recommend custom made makers from across the quality and pricing spectrum. How and where can I sell my old boots?We have set up a form so you can easily list your western shoewear where hundreds of potential buyers will see them. All for free!! Click on anything that interests you below or on the buttons on the left. Please feel free to contact us with any questions you might have. ANY QUESTION IS FINE WITH US!! Just fill contact form below with your question..